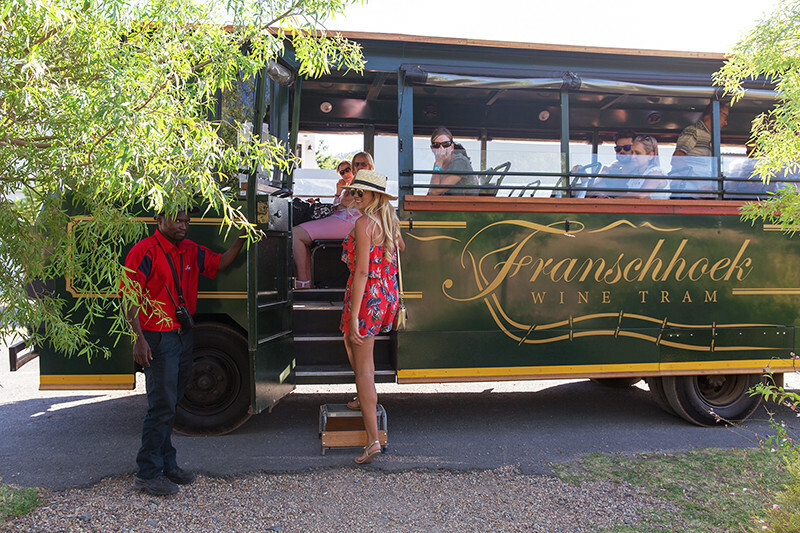 The Franschhoek wine tram is something that I have been aware of for quite a while but never been on myself. It seemed like a tourist thing and living in Cape Town I just never thought about going on it. Recently though I was invited to go on it for an early birthday celebration and it was so much fun! 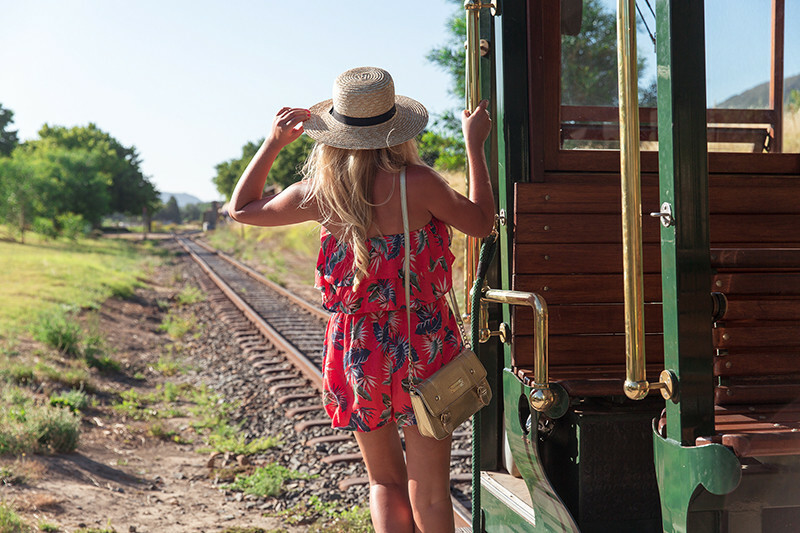 You buy a ticket, meet at the tram office in the main road and then get off at all the wine farms on your line that you want to visit. There is a bus or tram every hour and we decided to do tastings at four wine farms and lunch at one of them. We got off at Leopards Leap, Franschhoek Cellars, Rickety Bridge and Grande Provence which took us about 5 hours as we did a two hour lunch at Franschhoek Cellars. Its a really fun way to see Franchhoek and a few of the wine farms especially if you are staying over. There are plenty of gorgeous photo opportunities and the wine tastings are inexpensive with stunning views. I loved the fact that you can go on a open bus, tram and even a tractor ride while going between farms as it adds to the whole experience. They also keep any wine that you buy at the tram office so you can pick it up when you leave and you don’t have to carry it around everywhere. I do think however there is some room for improvement especially when it comes to time. I thought an hour per tasting would be more than enough but we had to cut short every single one of ours which is a pity. I guess its difficult with bigger groups but maybe they could make faster tastings for the wine tram people? 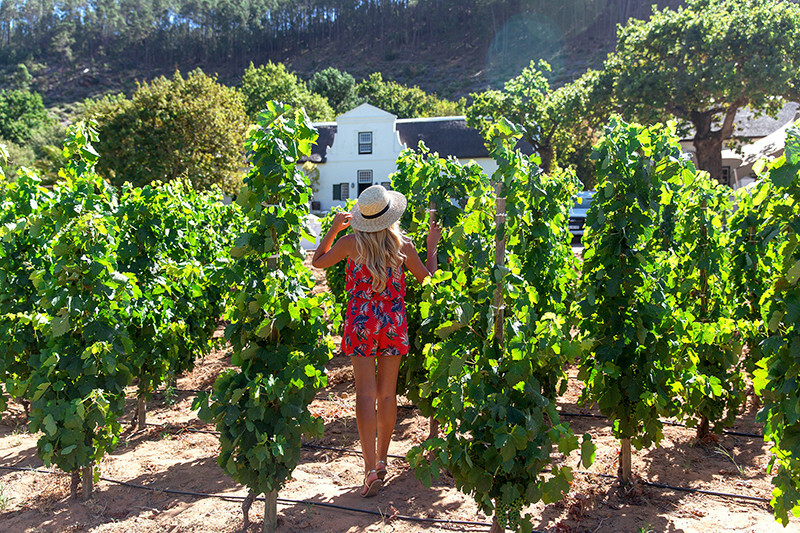 There are some wine farms that do free tastings but unfortunately we didn’t get to stop au any of them so it would be great to have at least one free tasting voucher per person with your tram ticket as it costs R220 per person then you still need to pay for all your tastings and lunch. I still do feel that for tourists this is still a great option to get to know the wine lands and have some fun while doing. This is such a cool activity! I love vineyards! My favorite is Tuscan countryside!